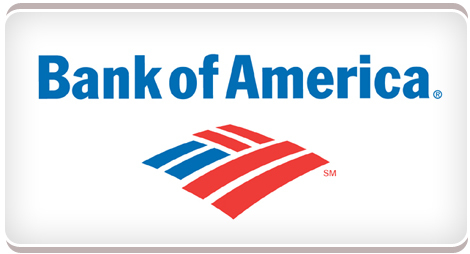 Bank of America Corp. (BAC) announced Thursday they’ll be instituting a new $5 monthly fee for what looks like most of their debit card users. They’re excluding those with premium checking accounts (over $20,000 in combined balances) and existing college student accounts. Hey— that’s like two PBRs on a TOTS Tuesday in Blacksburg. So are you outraged? Furious? Livid? Pissed? Freaking out? Don’t jump ship too quickly. A number of major national financial institutions are considering a similar measure including Chase, Wells Fargo and SunTrust. In fact they’ve already started testing it in small markets across the country. Bank of America is just the first to announce it across the board. Keep in mind, some of the stalwarts like Citi and TD Bank are standing by their no-fee policies. While they dominate the Northeast, coming from Virginia I wouldn’t consider them the most convenient banks. Relax and get a grip. If you want to disagree about the principle of the matter then fine, but as of right now it looks like you can continue your spending habits without being charged the fee. It doesn’t apply to ATM withdrawals, only debit card purchases. The kicker will be if that means only when you swipe it as a “debit” card or if they’ll include using it as a “credit” card. If the former, then really… why are you still even pursuing this option? If the latter, then opt for an actual credit card with no annual fee and use that instead. Keep your cash flow readily available in your Bank of America account and then pay off the credit card charges on a regular basis to avoid any interest charges. Almost all of the banks have taken away the rewards components of their cards so you’re not missing out there. If anything you’re gaining by using a credit card with a solid rewards program to match your needs. This entry was posted in Educated Opinion and tagged ATM, BAC, Bank of America, Chase, Citi, credit card, debit card, fee, finance, rewards, SunTrust, TD Bank, Wells Fargo. Bookmark the permalink.